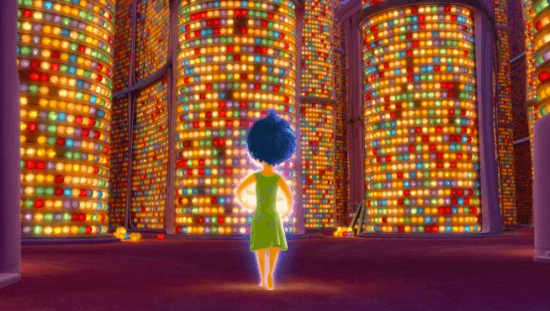 Since 2005, Pixar Animation studio had been steadily releasing at least one film a year. However, in 2014, audiences were left without a film from the powerhouse studio. While some wondered if the behind the scenes issues that plagued “The Good Dinosaur” were a signal of bad things to come, Pixar hunkered down and may have had their best year yet. Last month, audiences were finally able to see “The Good Dinosaur,” to a relatively mixed reaction from the Disney fanbase. Critics rewarded the film a 76 on Rotten Tomatoes, and while that score was better than films like Dreamworks’ “Home” (RT: 46), it was the third lowest score for a Pixar theatrical release (ahead of “Cars” and “Cars 2”). With the “The Good Dinosaur” a known commodity at this point, it is possible to take a holistic look at the state of the Best Animated Feature category, and begin to parse through the contenders versus pretenders. Again, here’s a rundown of the 16 films that are eligible to be nominated. That number means that 5 animated features will be nominated for Oscars this year, continuing the recent trend. To make it a little easier, I’ve sorted them below into either mainstream animation, or foreign animation. There are certainly some films that (technically) will qualify in both categories, but this is just to help break it down. Mainstream: “Inside Out” (RT: 98), “The Good Dinosaur” (RT: 77), “Home” (RT: 46), “The Peanuts Movie” (RT: 86), “Minions” (RT: 55), “Hotel Transylvania 2” (RT: 52), “The SpongeBob Movie: Sponge out of Water” (RT: 78), “Shaun the Sheep: The Movie” (RT: 99), “Anomalisa” (RT: 97), “Regular Show: The Movie” (No score), “Kahlil Gibran’s The Prophet” (RT: 70). 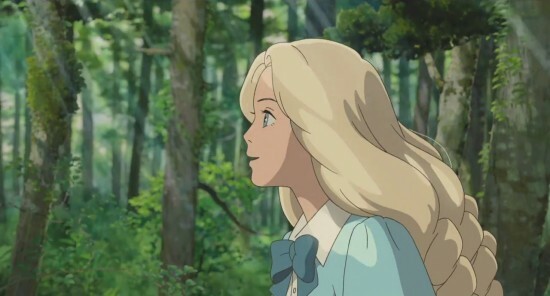 Foreign: “When Marnie was There” (RT: 90), “Moomins on the Riviera” (RT: 72) “The Boy and the Beast” (No Score), “The Boy and the World” (No Score), “The Laws of the Universe: Part 0” (No score). Alright, while “Moomins on the Riviera,” “The Laws of the Universe: Part 0,” “The Boy and the Beast,” “The Boy and the World,” all seem well made, their exposure seems relatively weak and thus don’t really have a good shot for the nomination. I can also count out “The SpongeBob Movie” as it mixes both hand drawn and live action, which does not do particularly well (e.g “The Lego Movie’s” snub). “Home” felt like it had gained some momentum back for Dreamworks in the box office ($177 Million domestic), but critically it took a beating. I’ll also be eliminating “Minions” because as enjoyable as it was for fans of the series, it doesn’t really hold up well for non-fans. Strong slapstick moments, yes, but not really something that will move the needle for animation. “Regular Show: The Movie” was a surprise inclusion, and while it is certainly fun, I don’t see it being a real player here. “Hotel Transylvania 2” also falls more in the commercial than awards magnet fare, dropping from my consideration. This leaves us with “Inside Out,” “The Good Dinosaur,” “The Peanuts Movie,” “Shaun the Sheep: The Movie,” “Anomalisa,” “Kahlil Gibran’s The Prophet” and “When Marnie was There.” The two sure-fire nominations in this pack are “Inside Out” and “Anomalisa.” While fans of ITM are very aware of “Inside Out,” “Anomalies” has more of an indie-film flair. The film tells a very human story of a man who cannot connect with the world around him. Many have praised it for its very human tale, and this makes this film a serious threat to “Inside Out” as a potential winner. The fact the film is written and directed by Charlie Kaufman (“Eternal Sunshine of the Spotless Mind”) certainly helps. “The Peanuts Movie” did a strong job of introducing a new generation of viewers to the classic comic strip. It also blended the CG animation well with the hand drawn style. In particular, the Red Baron scenes allowed the animators to stretch their muscles and showcase their ability. I feel like this is strong choice to receive a nomination as well. 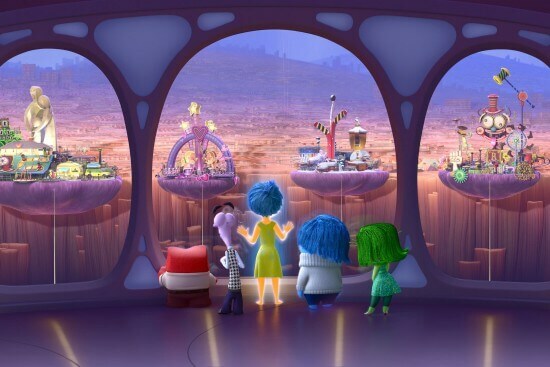 We here at ITM have written about “Inside Out” as a best picture contender, and while it feels like that could happen, the Best Animated Feature nomination is as close to a sure thing as possible. “The Good Dinosaur,” on the other hand, feels extremely vulnerable. While I personally feel the movie is much better than has been noted, it is hard to ignore that it simply did not resonate with audiences. The film only crossed the $100 million mark on December 23rd, making it the slowest Pixar film to hit that mark since “A Bug’s Life.” It is unlikely to shake from being the lowest grossing Pixar film to date and when you adjust for inflation it is $90 million behind “Cars 2.” This does not even factor in that has the third lowest Rotten Tomatoes score, only finishing above the “Cars” franchise. While I love “The Good Dinosaur” it is very possible that the voters in the animation branch may not feel the need to reward two films from the same company in the same year. The last time that happened was 2011 when “Puss in Boots” and “Kung Fu Panda 2” were double nominated for Dreamworks. Simply put, Pixar fatigue may set in with the animators, and given the opportunity, this may be the easiest place to not nominate the animation giant. I really hope I’m wrong about this potential avenue, but it’s hard to ignore the possibility. This leaves a handful of more independent movies for the race. GKIDS has done a solid job at getting nominations in the past few years, and “Kahlil Gibran’s The Prophet” seems like it could benefit from their track record. While it was not particularly well received, the story and animation are strong and worthy of consideration. While Hayao Miyazaki was once the only Studio Ghibli director to receive Oscar attention, that changed last year when “The Tale of Princess Kaguya” was nominated in the Best Animated Feature category. Will “When Marnie was There” repeat the task? With strong critical support it seems possible. The fact that it could potentially be the last Studio Ghibli film may cause some to vote for it as a passion play as well. Finally, “Shaun the Sheep: The Movie” was as well received as one could hope. With a 99% on Rotten Tomatoes, it is the highest scored film of the year in animation. With Aardman Animations in their corner, the film was able to top $100 million while maintaining the critical reception given to previous films like “Wallace & Gromit: The Curse of the Were-Rabbit” that won this category in 2005. There is a possibility that the branch might not go for two different stop-motion films in the same year, but to be fair, they went for three in just 2013 (“Pirates: Band of Misfits”, “Frankenweenie” and “ParaNorman”). That year did have much weaker competition than this year though. My runners up are “Shaun the Sheep: The Movie” and “Kahlil Gibran’s The Prophet” . The most likely to fall out of that race seems like “The Good Dinosaur” or “When Marnie was There,” and I suspect I’ll go 4/5 here. The race is tougher in spots 3 through 7 than most would predict, but with two real thoroughbreds at the top, the category might be its strongest top to bottom since 2009. Out of the five animated movies that you listed for the Best Animated Feautre Race, the only one that I have watched was “Insited Out”. What I liked about it the most was that it really connected with a lot of people, both children and adults. I actually went and saw it in theatres with a friend who struggled with depression. We had expected it to be a funny movie, but we were astonished that we could connect with it on such an emotional level. I am sure that that movie, out of the five in your line up, had the most influence on people.